4 Seasons Auto Transport prides itself in superior customer service with every detail customized to the customer's specifications. With 4 years of car shipping experience under her belt, owner-operator Yezenia M. Flores takes pride in providing superior customer service. Anytime: Call anytime for a quote. 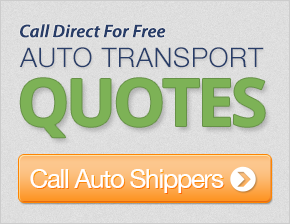 Car transport services are designed with your convenience in mind. Door to door, all-inclusive quotes that are affordable. They'll even do their best to match competitor's prices. Is your car inoperable? Need to store your vehicle? They will be there anytime to assist you with whatever your circumstances require, with the utmost of professional care. Anywhere: Not only does 4 Seasons ship cars from state to state, they transport to Alaska and Hawaii. That's not all - they can even transport your vehicle to the Caribbean, including Puerto Rico and The Virgin Islands. Always There: Customer Care representatives are available 24 hours a day, 7 days a week, 365 days a year. You can be assured that someone is there for you anytime you need them. Do you have a classic vehicle? A modified truck? Superior care is taken to be sure your vehicle arrives safely and in a timely fashion. Only once your vehicle has been assigned to a carrier and has been accepted for pick up, will 4 Seasons require a deposit. And then you'll be provided with the name, phone number, and the auto transport insurance information for YOUR carrier. Customer service representatives are there to assist you along the way, from door to door, with your satisfaction their ultimate goal. Car transport payment couldn't be easier. All major credit cards are accepted, as well as PayPal. Fast, easy, and trustworthy. Your timely response on pick-up and delivery was just fantastic. I would recommend your company anytime. Thanks again for your fantastic service. I was quite impressed with the speed of the service. Booked the pick up on a Friday and the car was picked up Monday and arrived at my residence the following Monday - a week later on an 1,800 mile trip from New Jersey to West Texas. The driver was friendly and professional. Thanks! I had moved my car to the San Diego area in February and did not bother to try to compare prices. My experience was a very poistive one and returned my calls and e-mails in a timely manner. If I get another position on the West Coast, I would use you guys again. This is the 2nd time I have used you folks and all has gone well each time. So I thank you for the excellent experience and I will continue to use your services and recommend you to others. I have used you company in the past and have also been very satisfied. More than helpful any time we had questions or concerns. Answered emails and phone calls promptly. Shipping our Jeep was no hassle. Thanks! The car move was handled above and beyong my expectations. Very happy with service. Very helpful and great job. Your driver was very good also. The overall process was good and professional. Always helpful and considerate. The car arrived in a timely manner and in good condition - I was very pleased. Great and timely service. My car arrived in Texas in less then 3 days. Very cost effective and a very good driver. The driver picked up the car within a day or two and had it to the destination within 3 days. Very happy with the service. Thank you for assistance and I shall recommend your company to others. Thank you again. I will use you again for sure. It was a wonderful service. I told my church family about how good the service was. The driver was wonderful and I will be calling you again. The customer service was wonderful as well. Very helpful and my car got to Las Vegas just fine. THANK YOU FOR YOUR SERVICE - IT WAS WONDERFUL. Extremely helpful and knowledgeable. After I submitted the assignment, the pick up was very quick.